Chanukah, which begins Sunday night, was certainly the first Jewish holiday of which I became aware. Back in the fall of 1953, I attended first grade in our local public school, P.S. 91. We learned manners and how to behave respectfully towards our elders and those in authority, had regular fire drills, and had monthly birthday parties. And in December we "lit" chalk Chanukah candles on the blackboard. (Obviously, that was before the tyranny of secularism tightened its grip on public education, thanks to various malicious Supreme Court decisions and other damage). A good decade and a half later, in the late 1960s, one of my politically radical friends told me how his East European immigrant parents had been Socialists and religiously non-observant, with the one exception of Chanukah, which they celebrated since they considered it to be a "people's holiday." For all its popularity, Chanukah is technically a minor Jewish holiday, based not in the Torah but on later events in Jewish history. Those events are recounted in the two Books of Maccabees, which, while not included in the contemporary Jewish canon of scripture, thankfully remain very much a part of in the Catholic one, thus giving us access to the inspiring story of Jewish resistance to imperial efforts to forcibly secularize the people of Israel. The two books of Maccabees recount the sad story of the suffering inflicted upon the people of Israel by their secularizing persecutors and the heroic history of resistance by a minority of Jews led by the Maccabees. Although the Maccabees were, in fact, priests, and the holiday commemorates the rededication of the holy Temple, it is easy to see how 19th and 20th-century Socialists might have re-interpreted it as primarily a "people's holiday" rather than a religious one, and even more so how their post-independence descendants might interpret it as a primarily patriotic holiday, since it represented the last Jewish military victory and experience of national independence until the modern era. Jewish tradition amplifies the biblical account with the story of how, when they sought to light the Temple's the seven-branch candelabrum (menorah), they found just a one-day supply of olive oil that had escaped contamination by the Greeks. Miraculously, that one-day supply burned for eight days, until new oil could be prepared under ritually pure conditions. So Chanukah commemorates not only - or even primarily - the actual military conflict and eventual victory nor the subsequent Hasmonean empire (the last sustained experience of Jewish independence until 1948) but rather the rededication of the Temple (after its sacrilegious profanation by the Gentiles) and the great miracle of how the surviving one-day supply of Temple oil lasted for eight full days. Accordingly, the holiday is notably celebrated by the daily lighting of the Chanukah menorah, by eating food fried in oil (particularly potato pancakes - latkes), and playing dreidel. It is not clear how Chanukah was celebrated in Jesus' time, but Jesus and his contemporaries certainly celebrated it. The Gospel of John - the New Testament book most attuned to the Jewish liturgical calendar - specifically says that Jesus was in Jerusalem, in winter, for the festival of the Dedication (John 10:22-23). It was during that celebration of this annual Festival of the Dedication that Jesus gave his famous "Good Shepherd" discourse. Unlike Easter and Pentecost, which are explicitly connected with their Old Testament antecedents, Chanukah has no precise Christian analogue. And, unlike the greater Jewish festivals, Chanukah imagery plays no real role in the New Testament's presentation and interpretation of Jesus' life, death, and resurrection. But, occurring in December, it has inevitably evolved into a Jewish alternative to Christmas - as well as functioning, like Christmas, as an authentic winter light festival. As an alternative to winter's darkness, Chanukah can comfortably accompany Christmas as a winter holiday for post-modern secular society, a contemporary pagan Saturnalia of lights and gift-giving. 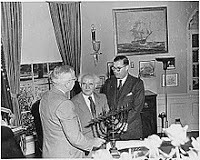 Although, the contemporary association of Christmas and Chanukah as both gift-giving holidays probably owes more to commercial considerations than to any historic or religious parallelism, still, were it not for the contemporary commercial association of Chanukah with Christmas, it is likely that many of us Gentiles might never learn about Chanukah. It is certainly a very good thing that we do get to hear about this beautiful "people's holiday," rooted in Israel's struggle against a secularizing political establishment, which celebrates God's miraculously abiding presence among his people. And, like the Christian (as opposed to the commercial) Christmas, the religious Chanukah holiday highlights a powerful message - in Chanukah's case, a message about faithfulness to religious law and tradition, the bulwarks of society, the cornerstone of which is authentic faithful worship in spirit and truth. With the reestablishment of an independent Jewish state in the land of the covenant in 1948 and the restoration of Jewish access to the Wester Wall in 1967, Chanukah has fittingly taken on added significance as a celebration of the renewed presence of God's People in the Holy Land. But the centerpiece of the festival always remains the lighted menorah, a reminder of an ancient miracle, itself an expression of God's miraculous divine light and so a symbol of how God's light overcomes every form of darkness in our dangerous and threatening world. O God, who gladden us by the annual expectation of our redemption, grant that we who now joyfully welcome Your Only-begotten Son as our Redeemer, may also, without fear, behold Him coming as our Judge, even the same Lord Jesus Christ Your Son, Who with You lives and reigns in the unity of the Holy Spirit, world without end. Amen. Such prayers effectively express the spirit of the Advent season and help situate the worshiper in relation to Advent's serious but hopeful expectation, recalling Christ's first coming as motivation to prepare properly for his second and final advent. In the United States, it is often said that Advent "doesn't work," the anticipation of Christmas having completely taken over the calendar. By that reasoning, Advent shouldn't "work" anywhere in our contemporary "globalized" world in which Santa Claus now reigns more or less everywhere and as likely as not assumes his throne even before the First Sunday of Advent. Yet, without defending our commercially-motivated rush to anticipate Christmas, that argument assumes too much of a conflict between Advent and Christmas. Of course, we would all be better off if the liturgical cycle still made more of an impact on people, if it still defined society's calendar as it once did in once Christian societies. But that is not our world. Instead, while we worship according to one calendar, we actually live the rest of our lives according to another. The challenge is precisely to live meaningfully in the liturgical cycle of Sundays and seasons and saints' days while remaining engaged in secular society and its alternative time. And frankly one way to do that with regard to Advent is to reemphasize more the original eschatological sense of that season instead of treating it as some sort of religious Grinch- inspired alternative to the Christmas that is already taking place all around us. In short, stop treating Advent (the liturgical experience) and the secular Christmas season as competitors. "Black Friday" is a capitalist abomination to be sure. But there remains much in the secular Christmas season that is genuinely positive - the joy, the festivity, the time with family and friends, the opportunities to reach out to others. Even Christmas shopping, within humane limits, can be a moral good, when one genuinely focuses on giving and not on acquisitiveness. Highlighting what is wholesome in the season is a universal human challenge which can be of benefit to all, whether or not they observe Advent, whether or not they practice any religion at all. Meanwhile, let Advent be Advent. Let it be not some season of make-believe pretending Christ hasn't been born yet and waiting for him to be born on Christmas, but let it be what it was meant to be, a time of joyful expectation of what that already accomplished first Coming - now in the time of this mortal life, in which Jesus Christ came to visit us in great humility - actually means for our challenging present and our hoped-for future. It’s almost the end of November. Thanksgiving has come and gone, and there is no mistaking what comes next in our commercial calendar. Christmas is coming! And yet the Church chooses this Sunday to tell us not about Santa Claus coming to town but about Daniel’s apocalyptic vision [Daniel 7:13-14] of one like a Son of man coming on the clouds of heaven who received dominion, glory, and kingship - an everlasting dominion that shall not be taken away, a kingship that shall not be destroyed. Words like dominion, glory, and kingship are grand words. They suggest great things of epic proportions. They invoke the majestic splendor associated with a royal coronation. Indeed, if one didn’t know better, the Thanksgiving and Christmas-themed parades so many cities see at this time of year might easily be interpreted as some sort of royal occasion, with Santa Claus coming to town as king. Daniel, however, seems to have had something more like the real thing in mind. 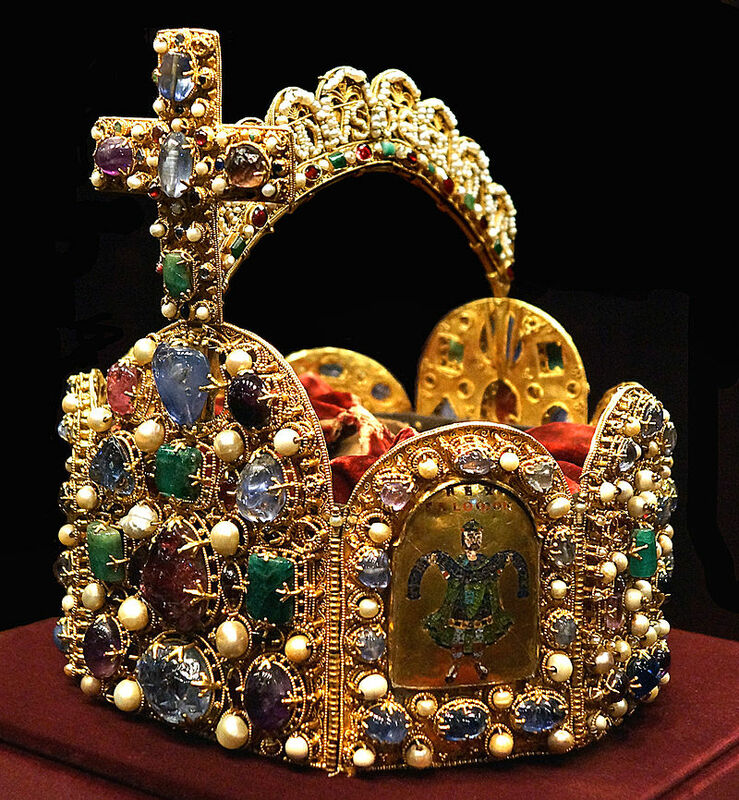 In the case of real royalty, the point is that a particular person (whose whole identity is connected with this role) symbolically unites a community by a powerful personal bond – a bond so powerful precisely because so personal, a bond so personal that, through all of human history few, if any, civic symbols have served so successfully at building and bonding and unifying communities as has the institution of kingship. Christ the King reigns in human hearts, wrote Pope Pius XI who founded this feast in 1925, “because he is very truth, and it is from him that truth must be obediently received by all.” But truth can be an incredibly inconvenient and even threatening concept in a world which sees no need for it, a world which has no desire for it, a world which wants to construct its own reality. It was clearly so for Pilate [John 18:33b-37], who responded to Jesus’ claim about his kingship by dismissively asking, “What is truth?” Pilate clearly could not imagine that such a question could actually have a real answer. Nor should we pretend that the world has made much progress on this score since Pilate’s time. It is in the nature of political office to involve power over others. The more exalted the office, the more power over ever more others, culminating in the sort of sovereign power Pilate had in mind when he worried whether Jesus’ Kingship represented a threat to the imperial power Pilate represented. Jesus’ sovereignty, however, is different. Whereas worldly rule inherently involves the exercise of power over others, Jesus’ royal rule represents power for others. Jesus Christ is the faithful witness, the first born of the dead and ruler of the kings of the earth … who loves us and has freed us from our sins by his blood [Revelation 1:5-8] . Notice, the book of Revelation says his blood, not the blood of his rivals or his competitors or his enemies, but his own blood. Christ the King scandalized Pilate’s Roman sensibilities – as he similarly scandalizes our modern and post-modern sensibilities – precisely by proposing the truth, not as something socially constructed, but as something that simply is, not as something we choose as one option among many, but as something we learn, something that, so to speak, chooses us and challenges us in ways we would not necessarily have chosen for ourselves. When today’s reading from the Book of Revelation refers to us – to the whole Church - as a kingdom of priests, that’s a reference back to the people of Israel, to whom God had said at Mount Sinai: You shall be to me a kingdom of priests, a holy nation. That didn’t mean that all Israelites were transformed from farmers or shepherds or whatever into Temple priests offering sacrifices all day long. What it meant was that, as God’s Chosen People, the People of Israel would be the special link between God and the world, through whom (as promised to Abraham long ago) the whole world would find blessing. So, when the New Testament refers to the whole Church as a kingdom of priests, it’s telling us that all of us, together as his Church, have been put into a new relationship with God, which makes us the special vehicle through which the whole world will experience that blessing. As subjects of Christ the King, as citizens of his kingdom, we have become Christ’s word and voice in a world full of false and lying words, full of shrill and demagogic voices. In such a world, we may perhaps (as has been said so often) be the only word and voice of Christ that many will ever see or hear. As if we needed to be reminded, events in the world in fact do keep reminding us what and how strong the power of evil is in the world. But the presence of evil in our world and the evil misuse of human power – political power, military power, economic power, all kinds of human power – are not new and should not surprise us. As subjects of Christ the King, as citizens of his kingdom, we like Jesus himself must testify to the truth in all aspects of life - witnessing to the truth in our relationships with one another and the wider world. To celebrate Christ’s kingship and to pray (as we do every day at Mass) for the coming of his kingdom, is to commit ourselves to the fullest extension of that kingdom to this world – so that this yearly celebration of Christ the King becomes not just an annual ritual marking the passing of the seasons, but the deepest expression of what we believe and who we hope to be and what we hope for our world. Homily for the Solemnity of Christ the King, Immaculate Conception Church, Knoxville, TN, November 25, 2018. Autumn and winter have always been my favorite seasons, and the Thanksgiving-Christmas-New Year’s holidays my most looked-forward-to time of the year. It is also the season when so many Americans try to make time for family and friends, visiting one another where possible and reconnecting with others by mail and other ways. In the United States, Thanksgiving week usually sees more travel than any other week of the year. According to AAA, approximately 54.3 million Americans are expected to travel 50 miles or more for Thanksgiving this year (apparently the highest number of holiday travelers in more than a decade). As everyone knows, our modern celebration of Thanksgiving can be traced back to the early 17th-century English Pilgrims, who colonized New England. According to the familiar story, after the indigenous population had helped the Pilgrims adjust by teaching them critical survival techniques and important crop cultivation methods, they all celebrated a successful harvest with a shared fellowship dinner. In 1789, President George Washington proclaimed the first national Thanksgiving, calling on all citizens to place their faith in "the providence of Almighty God," and to be thankful. Since its Civil War revival by Abraham Lincoln, this wonderful American tradition has continued down to the present in this quintessentially American holiday, now celebrated annually on the 4th Thursday in November. Even in this time of conflict and division, this holiday still seeks to unite us all in one common national community, despite its increasingly demeaned status as simply the eve of "Black Friday." 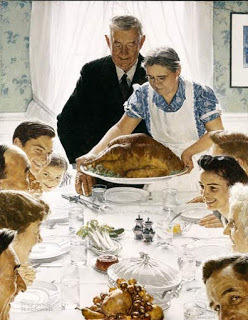 Norman Rockwell's familiar March 3, 1943, Saturday Evening Post cover [photo] was intended the depict one of FDR's recently proclaimed Four Freedoms - in this case Freedom from Want. Undoubtedly the original Pilgrims' Thanksgiving celebrated their newly found freedom from want, but for many in our world - sadly even in our own affluent society - that is still an elusive goal. Instead, what has characterized our recent history - at least since the catastrophic election of 1980 - has been the widespread propagation of a perverse freedom from community, which for so many has turned out to be the ultimate un-freedom. Wrapped in sentimentality though it may be, the traditional Thanksgiving trek Over the river and through the wood continues to attract in spite of - or perhaps because of - its radical rebuttal of our officially sanctioned individualized way of life. On Thanksgiving, we ritualize what human beings by nature seek, but which our prevailing political culture (both Right and Left) has sadly all too successfully sought to liberate us from. Nowadays it is always election time in America. Election time increasingly serves as a substitute for governing, which the media now no longer ever seems to have time for or much serious interest in. So ,as soon as the 2018 midterm recounts finally end, the pundits are obviously ready to start speculating about 2020. And, in the absence of a contemporary election to fixate on, this new movie can satiate some of our electoral addiction with a retrospective on an important election from 30 years ago. 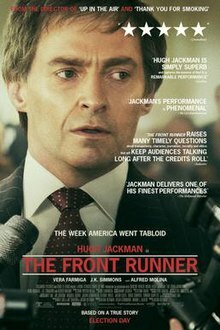 Based on Matt Bai’s 2014 book All the Truth Is Out: The Week Politics Went Tabloid, the film The Front Runner chronicles the story of Senator Gary Hart, his campaign for the 1988 Democratic presidential nomination, and his campaign’s quick collapse when news reports revealed an apparent extramarital affair. It is the story of how Hart was forced to drop out of the race, thus presumably paving the way for accession of the Bush dynasty. It is simultaneously the story of how political journalism turned into tabloid journalism, a transformation from which it has never really recovered and which has had a permanent and predictably harmful impact on American politics ever since. I can remember Hart's candidacy, his generationally themed campaign of "ideas." I remember I thought him arrogant at the time, and one thing that Hugh Jackman's superb performance conveys is the candidate's arrogance, as well as his absurdly entitled expectation of privacy. Hardly anyone comes across well in this retelling of the story - certainly not Senator Hart himself, nor his opponents in the media. The destructively adversarial relationship that now characterizes our politics between self-absorbed candidates and a comparably arrogant and self-righteous news media is well portrayed. In the film, there are still hints of reservations - on all sides - about what American politics has become. That now is gone, along with the telephone booths, wall cord phones, and typewriters that so charmingly date the movie. I am at the moment in California, where on November 6 voters approved California Proposition 7, the Permanent Daylight Saving Time Measure. That “yes” vote supported allowing the State Legislature to change the dates and times of the daylight saving time period, consistent with federal law, and also to establish permanent, year-round daylight saving time in California by a two-thirds vote, if federal law is changed to allow for permanent daylight saving time. Personally, I have never seen the sense in "daylight saving time." I would love to see everyone stay on "standard time" all year round. Next best, I suppose, would be to stay an hour ahead on "daylight saving time" all year. 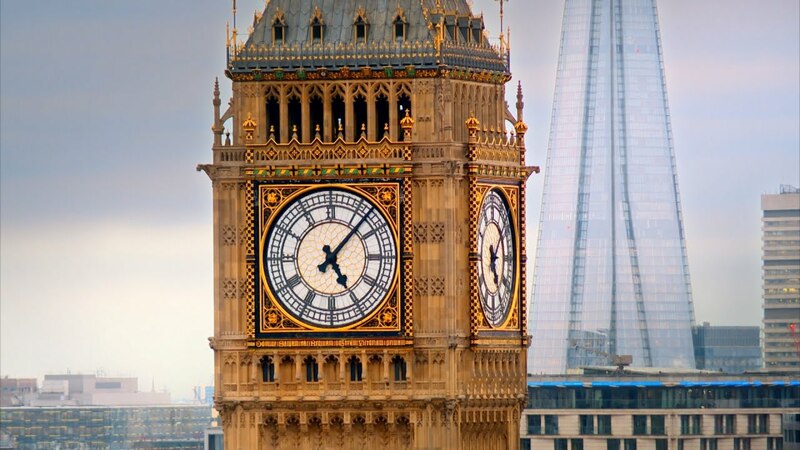 The worst outcome would be to continue the current silliness of switching our clocks forward and backward as a make-believe energy conversation or "daylight saving" measure! Even so, Jesus challenges us to pay attention to what is happening in this world that is still very much on the way to becoming his kingdom. In the Gospel we just heard [Mark 13:24-32] , Jesus made his ominous predictions just prior to Passover – so, in the springtime, when the fig tree sprouts leaves, a sure sign that summer is near. It is, however, in the autumn of the year that the Church annually repeats this message. Autumn is the long-awaited and hoped-for season of harvest, when the year’s work finds fulfillment in our holiday season of thanksgiving. Autumn, however, also marks an end. In nature, November vividly anticipates both the eventual end of the natural world and the eventual end of each of us individually. The Church expresses that natural cyclical mood, as it recalls Christ’s warning words about the end, when the Son of Man coming in the clouds with great power and glory will send out the angels and gather his elect from the four winds, from the end of the earth to the end of the sky. And so we wait – not knowing the day or the hour but confident that he is really near. And it is precisely how we wait in the meantime that identifies what following Jesus in the world is all about. For following Jesus is not about pinpointing that day or hour, or predicting which of the many terrible calamities that keep occurring is going to be the decisive one. On the contrary, following Jesus is all about the how in the now – how we live and what we love in the here and now, what we make of this interval, whether it be long or short, until the end – in other words, the durability and quality of our commitment and our faithfulness to him and to one another for the duration. That’s what matters most over the long haul and will determine who we will be for all eternity. That is the wisdom which shall shine like the splendor of the firmament and lead many to justice [cf. Daniel 12:1-3]. Meanwhile, we are fortified for that long haul by the durability and quality of Jesus Christ’s own commitment and faithfulness to his Father, the same Christ who, in the words we just heard from the letter to the Hebrews [Hebrews 10:11-14, 18], has already taken his seat forever at the right hand of God, and has made perfect forever those who are being consecrated. Homily for the 33rd Sunday in Ordinary Time, Saint Anne's Church, Walnut Creek, CA, November 18, 2018. Although Mother Cabrini (as she was known in life and is still referred to even now that she is a saint) died in Chicago, her body is famously exposed for veneration under the altar in her shrine in the New York City Washington Heights neighborhood, in the convent of the Missionary Sisters of the Sacred Heart of Jesus, the order she founded in 1880. When I was growing up a short distance away across the Harlem River in the Bronx, it was a shrine, which had special significance for my Sicilian grandmother, who made sure we went to visit it yearly. It was always a treat to visit the shrine, not least because of its magnificent location in Washington Heights, the highest part of Manhattan overlooking the Hudson River, a mile or so north of the George Washington Bridge. 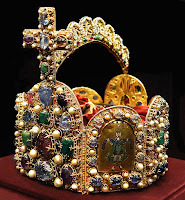 But, while we took in the sights and enjoyed being in the beautiful park (home also to the world-famous medieval art museum, The Cloisters), my grandmother always made certain that we visited the chapel and there venerated the great Italian patron of immigrants to the New World. Trained in Italy as a teacher, Frances Cabrini originally applied to join the order she had been taught by, but was rejected. So she gathered a group of like-minded women around her and formed her own religious community, founding a school and homes for orphans. But, when she applied to Pope Leo XIII for his approval for a missionary outreach to China, the Pope instead directed her to the United States and the growing Italian immigrant communities there. "Not to the East, but to the West," was his advice. Like so many of the Italian immigrants, she was less than enthusiastically received at first by the Irish-American Catholic establishment. But she persisted in her mission and over time founded some 67 institutions (schools, hospitals, orphanages) in major cities in the United States and in South America. In their day, those institutions served Italian and other immigrants and made a notable impact in their communities. Those days are gone now and with them and many of those once impressive institutions, but structured outreach within immigrant communities as an explicit expression of the Church’s commitment to social solidarity remains central to the Church’s life and work in the United States – now as it always has been, and (given our contemporary crisis of social solidarity) now maybe more than ever. Not unlike our attitudes toward the accumulation of wealth, our response to the immigrants among us is a profoundly spiritual and moral matter - a fundamental affirmation or not of the Gospel's demands. 100 years ago today the guns finally fell silent on the Western Front, and the civilizational calamity that was World War I (“The Great War,” as it was then known) came to an end. On display in the church today (and all year long downstairs in the parish hall) is the famous photo of our own church as it looked on that memorable day, all decorated in celebration of the Armistice [Photo Above]. Of course, as we now know with the benefit of hindsight, that Armistice and the welcome relief it brought were but a temporary truce in what would prove to be almost a century of European and world war, sometimes hot, sometimes cold. My first assignment as a priest was at a parish in Toronto. In Canada, as in other Commonwealth countries, November 11 is Remembrance Day and is universally observed with virtually everyone from the Queen on down wearing red poppies in the weeks leading up to it and with a strict 2-minute silence at 11:00 a.m. on the day itself, customs we unfortunately don’t have here in this country. Even so, remembering is one of the things that especially makes us human. And it is above all as fellow human beings and also as fellow citizens that we remember today those who have gone before us, our cherished past to whom we owe our precious present and our hopes for the future. To remember those who have died is to acknowledge the importance of their lives and the common humanity which we share with them in life and in death. To remember the still-living veterans of the wars of the past century is to acknowledge what we owe to their commitment to our national community and the common citizenship we share and the hopes we have. Remembering is also one of the things that especially makes us Christian. To remember those who have gone before us in faith, as we do especially during this remembrance month of November but also every day at every Mass, is to celebrate the multitude of ways in which the grace of God touched and transformed each one of them in life - and the hope we still share with them in death. Like the soldiers who served on the Western Front 100 years ago, the widow in today’s Gospel [Mark 12:38-44] got no immediately obvious reward. The widow, however, contributed to the Temple out of her limited, meager means – revealing the generosity of her spirit and the seriousness of her commitment to what the Temple represented in her community. In this era of low marginal tax rates, gated communities, health and fitness fixations, political and ideological tribalism, politicians' playing on people’s fears, and increasing incitements to angry behavior, perhaps few messages may seem more counter-culturally challenging than this gospel story of that nameless widow and our own national stories of service in far-away wars – which are all about being focused on something other than oneself and on one’s own individual needs, about not letting oneself and one’s all-important private world get in the way of one’s obligations to others and one’s connection with the larger human community. Ours is a society in which reality is increasingly subjective, in which the Individual has become the center of meaning and value, reducing family, community, and society to at-best secondary realities. Even churches increasingly sometimes seem more like social or political clubs where like-minded or similarly situated individuals can feel good about themselves together. We are forever being tempted to privilege what is individual and private and personal over what is common and shared and bigger than ourselves. Today’s anniversary reminds us what it means to be connected with one another in a larger community, and what commitment to one another and such a community actually requires of us. Jesus’ words in today’s Gospel likewise challenge us all to rediscover what generosity and commitment actually mean. Jesus’ words are a challenge that calls us beyond even the obligations of a common civic life together, but also a lifelong invitation to what we can hope to become - not just for now but forever. Homily for the 32nd Sunday in Ordinary Time, Veterans Day (the 100th Anniversary of the Armistice), Immaculate Conception Church, Knoxville, TN, November 11, 2018. Asked to write about an issue "likely to be of significance in years to come," the late Tony Judt first published "The Social Question Redivivus" in Foreign Affairs in 1997. Including it a decade later as the final chapter in Reappraisals: Reflections on the Forgotten Twentieth Century (2008), Judt noted that "nothing that has happened in the intervening decade" had led him to moderate his "gloomy prognostications - quite the contrary." Yet another decade later, his "prognostications" still seem to me to be every bit as relevant. Judt's focus was on "the failure of the political left to reassess its response" to the "dilemmas of globalization." What he produced, in effect, was an essay on the abiding salience of the modern State. Then as now, Europeans were anxious about a "neo-Fascist right, whose program constitutes one long scream of resentment - at immigrants, at unemployment, at crime and insecurity, at "Europe', and in general at 'them' who have brought it all about." (Since then, of course, the "scream" has only gotten louder and has likewise consequentially crossed the Atlantic.) In postindustrial Europe, Judt warned, "the economy has moved on while the state, so far, has stayed behind to pick up the tab; but the community has collapsed, and with it a century-long political culture that combined pride in work, local social interdependence, and intergenerational continuity" (emphases mine). Writing when neoliberalism had seemingly triumphed - in the US in the Clinton years and in the UK with Tony Blair - and before the global collapse of capitalism of 2008, Judt recognized the "cultural and historical rather than economic" reasons for US neoliberal economics - "possible, in part, because even some of those who stand to lose thereby are culturally predisposed to listen with approval to politicians denouncing the sins of big government" - a model he concluded was "not exportable." Europeans, he argued, expect the state "to take the initiative or at least pick up the pieces." Moreover, in a world where "much of what happens in people's lives today has passed from their control," he argued "there is a greater need than ever to hold on to the sorts of intermediate institutions what make possible normal civilized life in communities and societies." And, in today's world, it is the state that is the largest such intermediate institution that can respond to citizens' "interests and desires." Finally, he considered "the need for representative democracy" to be "also the best argument for the traditional state." It is especially "the losers in today's economy" who "have the most interest in and need for the state, not least because they cannot readily imagine taking themselves and their labor anywhere else." All of this remains relevant - and even more so - since the 2008 collapse of capitalism and the loud scream of political "populism" which that collapse produced in the "Tea party," the "Occupy" movement, and, above all, in the Trump presidency, and some of the responses to it. The postwar social reforms in Europe [with which we Americans may associate at least partially our New Deal and Great Society reforms] were instituted in large measure as a barrier to the return of the sort of desperation and disaffection from which such extreme choices were thought to have arisen. The partial unraveling of those social reforms, for whatever reason, is not risk-free. As the great reformers of the nineteenth century well knew, the Social Question, if left unaddressed, does not just wither away. It goes instead in search of more radical answers. Todayis Schicksalstag, commonly translated "Day of Fate." At least four dramatic events in 20th-century German history happened on November 9, all of which also impacted the rest of the world for the rest of that century (and after). On this date in 1918, exactly 100 years ago, faced with the collapse both of German war effort and of domestic politics, German Kaiser Wilhelm II abdicated, setting in motion not only the end of the reign of the Prussian Hohenzollerns but of all the other German royal and princely houses, and their replacement by the ill-fated, doomed-from-the-start Weimar Republic. Just 5 years later, in 1923, November 9 saw the failure of Adolph Hitler's infamous Munich Beer Hall Putsch. This turned out, however, to be but a temporary reprieve for the Weimar Republic, which would sadly succumb in time to the Nazis less than a decade later. Then, much more ominously, 80 years ago today, on November 9, 1938, came Kristallnacht, the large-scale destruction of synagogues and other Jewish properties in Germany, followed by the mass arrests of some 30,000 German Jews, a major turning point in the Third Reich's tragic trajectory toward the so-called Final Solution. 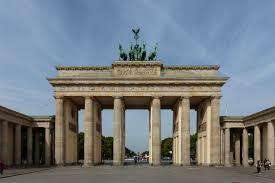 Finally, this date in 1989 saw a happy event - the opening of the Berlin Wall. This was a sudden, not immediately expected acceleration of the revolutionary process which quickly led to the complete collapse of communism in Eastern Europe, the reunification of Germany one year later, and eventually the dissolution of the Soviet Union itself. Rightly celebrated at the time, this last set of events bequeathed a multitude of further consequences, some of which we are still struggling to see our way through. It is, of course, coincidence that events of such world-historical significance all occurred on this calendar date. Especially as the world this week recalls the centennial of the first of those events (with all that led to and followed from it), it does, however, make this date an appropriate occasion for some sober reflection upon the political, social, and human tragedies that defined the 20th century and so continue to define aspects of our world even today. The bill came partially due Tuesday. Two years of what the election-eve issue of The Economist termed a "dishonest executive, conniving with a fawning legislature and empowered by a partisan judiciary" motivated a record turnout of voters (as many as 113 million). As NY Times columnist Michelle Goldberg observed prior to the election: “Movements like Trump’s thrive on social decay and atomization. Millions of Americans who oppose Trump have responded to him with an enormous civic revival.” That said, the basic urban-suburban vs. rural divide, of which the Senate is the institutional expression, continues to poison American politics. "Democrats have the people, Republicans have the real estate," as Mara Liason observed on NPR this morning. The big story. of course, is that the Democrats have regained control of the House after 8 years. Along with that, three states voted for non-partisan redistricting. That combined with Democratic victories in several statehouses (including the three that fatally handed Trump his Electoral College margin of victory) will make it much harder for Republicans to continue rigging the district maps in their favor after the 2020 census. And there were other victories for democracy and humanity. Democracy won when Florida voted to restore voting rights to ex-felons. Humanity won when three "red" states (Ohio, Nebraska, Utah) voted for Medicaid expansion. But the big story remains the House of Representatives. That means we have the beginning of a potential return to a two-party system in this country. 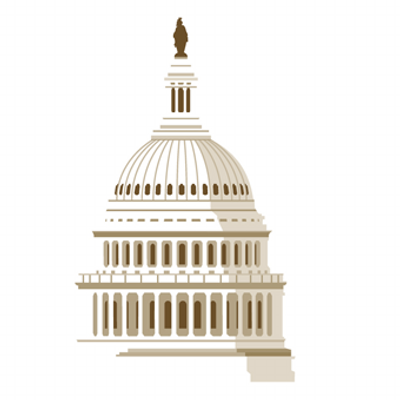 It also means we will have some serious statesmen as committee chairmen, replacing Trumpers like Devin Nunes, all of which affords the prospect of Congress reasserting its constitutional parity with the presidency through real oversight of executive agencies, much needed after a lapse of two years. Even so, if Nancy Pelosi were to ask me for advice, I would tell her to start with a focus on real legislation, which ordinary Americans care about - for example, protecting health care for all, protecting voting rights, protecting immigrants and refugees, infrastructure, and balancing the last Congress's tax cut for the rich with benefits for the rest of the country. By itself, of course, the House cannot pass any legislation. The Republican Senate may still stymie the House's efforts, although with this unpredictable president nothing is certain. Still legislating is a lot better place to be in than exclusively emphasizing oversight and investigations, however important they are as well. The bottom line is that the Democrats need two things heading into 2020. They need a charismatic candidate, of course, and surfacing one who can win in the Electoral College will be no easy matter. But they also need to stand for something that Americans can care enough about to vote for change. The country knows what the Republicans stand for. It is waiting to hear what the Democrats have to offer as an alternative. In this regard, I think that Ross Douthat's observation in today's NY Times may be a relevant warning: "Democrats obviously want to win purple and red Senate seats, but they want to win them the way they just lost in Texas, with charisma and mobilization rather than with ideological compromise. So they’re left waiting, as before, for demography or a recession to deliver them that opportunity." Nor should anyone underestimate how empowering it could be for Trump to have a Democratic House to campaign against every day for the next two years. And insulting, ridiculing, demeaning, and maligning a woman Speaker is just the sort of thing to energize both him and his supporters! The story of the 1969 moon landing is a familiar one - if not for today's historically challenged students, then certainly at least for the generations that lived through it and experienced its excitement. I was 21 then and spent that Sunday afternoon at the beach at Far Rockaway with some friends. We were back on the "A" train and home just in time to watch the TV coverage of the actual touchdown ("The Eagle has landed") by the lunar module on the moon's surface. Later we watched as Neil Armstrong took his famous "one step for man, one giant leap for mankind." It is perhaps hard to explain the excitement space exploration had for my generation, but exciting it was - and not just because we were beating the Russians (although that too was important at the time). 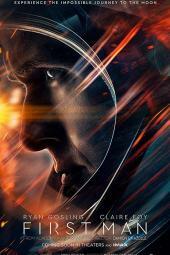 First Man, directed by Damien Chazelle and based on the book First Man: The Life of Neil A. Armstrong by James R. Hansen, stars Ryan Gosling as a smart, moody Neil Armstrong and Claire Foy (The Crown’s Queen Elizabeth II) as his patient, loving wife, Janet. The film follows Armstrong’s story from 1961 through the years leading up to the 1969 Apollo 11 moon mission, including the mishaps and tragedies along the way. Of course there have been other good astronaut movies before this - The Right Stuff and Apollo 13, for example - that have tapped into human drama and the feelings of the astronauts and their families, but this film excels, precisely in its slow and understated way. Armstrong appears no less a heroic figure for his personal losses and professional struggles in the decade that led up to his landing on the moon. In an era notably lacking in any experience or even sense of common purpose, First Man takes us back to when we could still produce leaders who cared enough about being a country to inspire us to common purpose and when that purpose could still transform ordinary citizens into icons of national achievement. That was at the height of the Cold War when we were acutely conscious of the threat from a monstrous foreign enemy and of a potential conflict capable of eradicating human life from the planet. Yet it was, in retrospect, a much calmer and perhaps even saner time, a time of far more pervasive national and cultural unity and a perceived sense of common purpose, all of which are so manifestly lacking now. 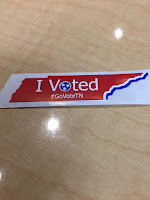 If voting was then the expression of that long-lost civic culture, now it may be our only avenue to repair our tattered union and recover some minimal sense of common purpose. Still, we largely lack that "Greatest Generation" civic socialization that motivated my parents to vote in every election. Voting - hence the extreme importance of boosting turnout - is the only mechanism to make meaningful change in our political process. The process is already skewed to favor underpopulated, rural areas - institutionally gerrymandered, so to speak - by the constitution, by the absurdity of state equality in the Senate, etc. It is skewed more malevolently by partisan gerrymandering by which contemporary politicians get to pick their voters, instead of the original idea which was for voters to pick their politicians. As with bad speech, for which the only effective remedy is more speech - good, healthy, sane speech - the only remedy for non-voting, voter-suppression, and gerrymandering is as much voting as possible. 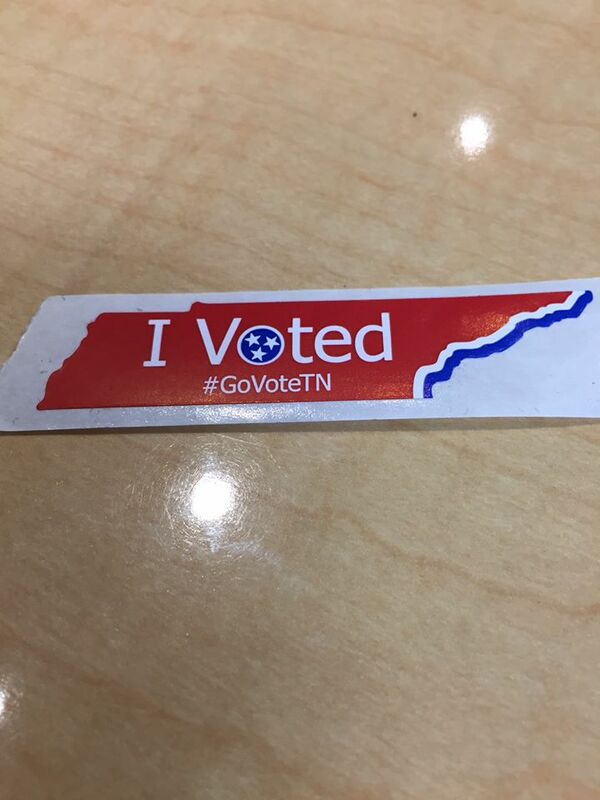 So voting is what it is all about - this election and every election!